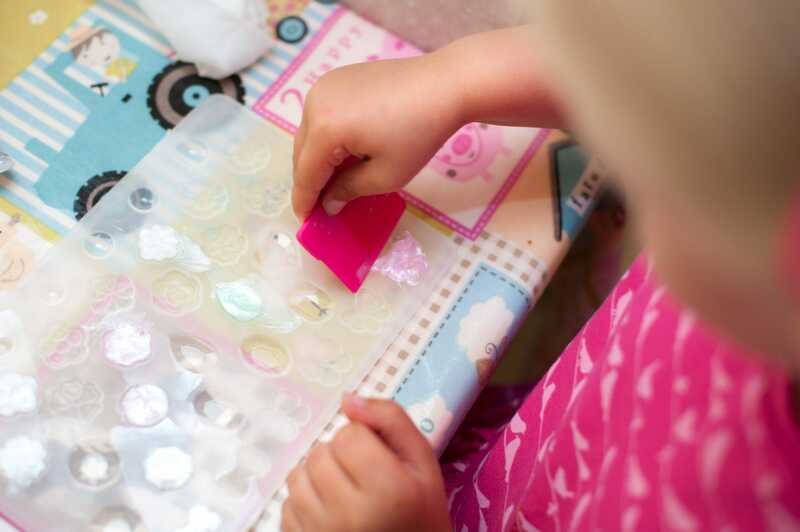 Over the last few months the girls have loved getting to grips with Gel-a-Peel, a range of crafting kits where the possibilities are endless. We have made beads and bracelets, decorated diaries and made Mothers day cards. 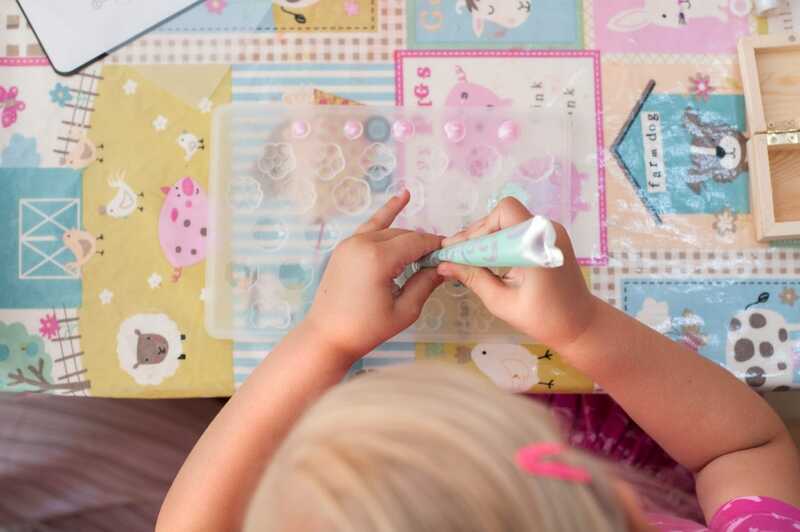 And although the girls have loved every single Gel-a-Peel set we have tried so far, the Pearly Pastel Kit is by far their favourite. 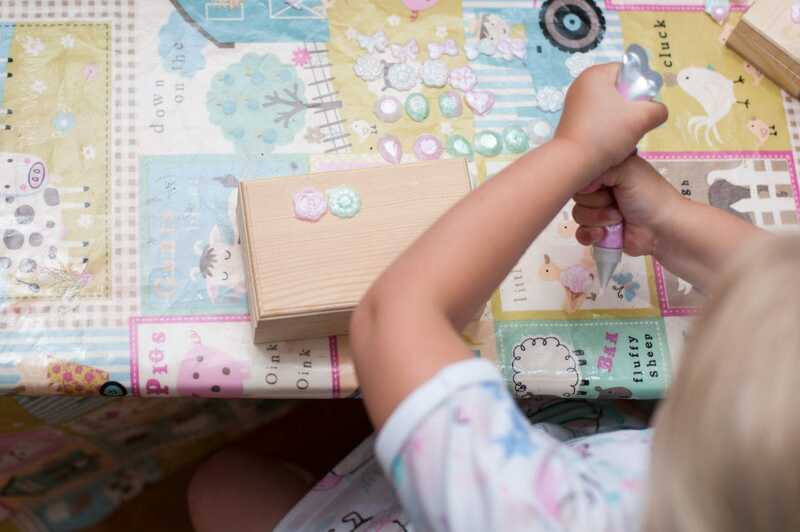 This week the girls were very excited to decorate a jewellery box each, although there was the usual bickering over who would have the larger box. “I’m having the bigger box, I’m the bigger sister!” Eva had said. “But we’re both the same size! !” Megan had told her, which really made me laugh. After a lot of arguing back and forth they agreed that Megan would have the small box, and Eva would have the large and the small box. I think that Megan needs to work harder on her negotiation skills! And it’s as simple as that! I have mentioned before that Gel-a-Peel is aimed at ages 8 years and over, but I have no qualms about my girls using the kits and they are more than capable of using them correctly. 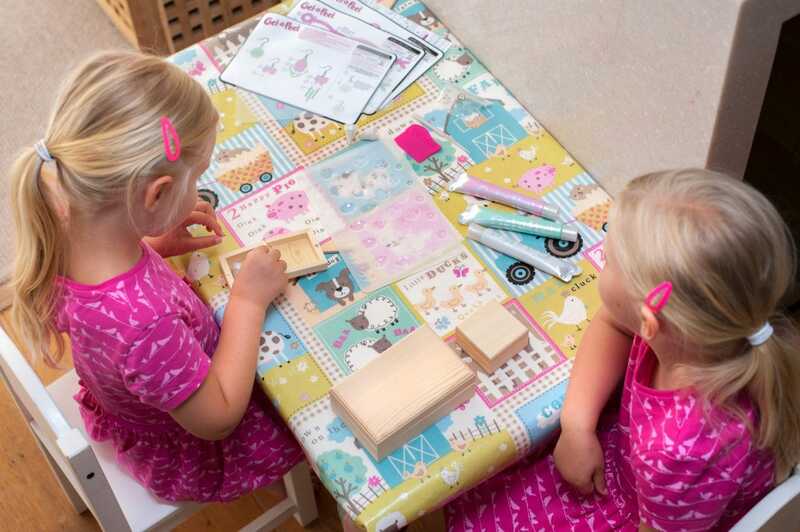 The kits also come with templates to create a number of different designs, something which the girls both enjoy. With Megan being 15 months younger than Eva, it’s always nice to see that each time we do one of the Gel-a-Peel crafts, even if just a few weeks have passed in between, Megan is that little bit more confident at following the templates, or it holds her attention a little longer than the last time. Eva is definitely the craftier of the two (in more ways than one!) but Megan really enjoyed herself this week and it was lovely to see! 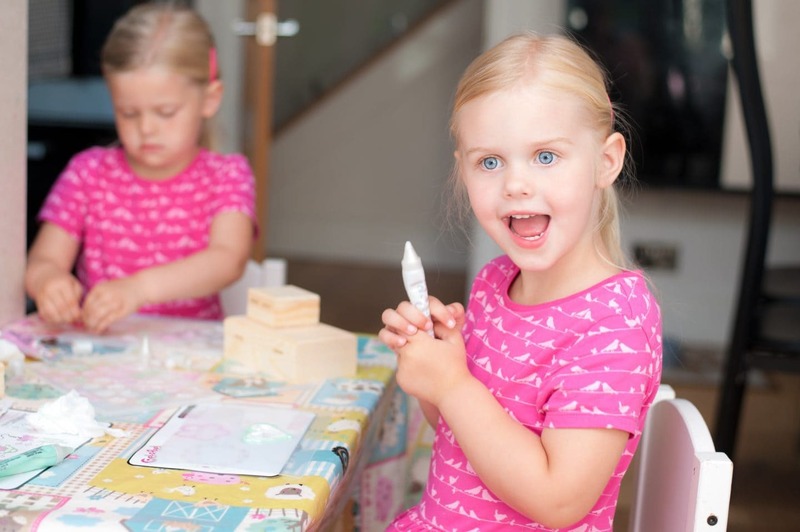 Once all of the gel had dried, which can be anything from ten minutes to ten hours dependent on the room temperature or the thickness of the gel, we simply lifted them out of the tray and the girls were ready to create their jewellery box designs! Applying a small amount of the gel to each “gem” the girls were able to position them onto the jewellery boxes where they were firmly held into place. 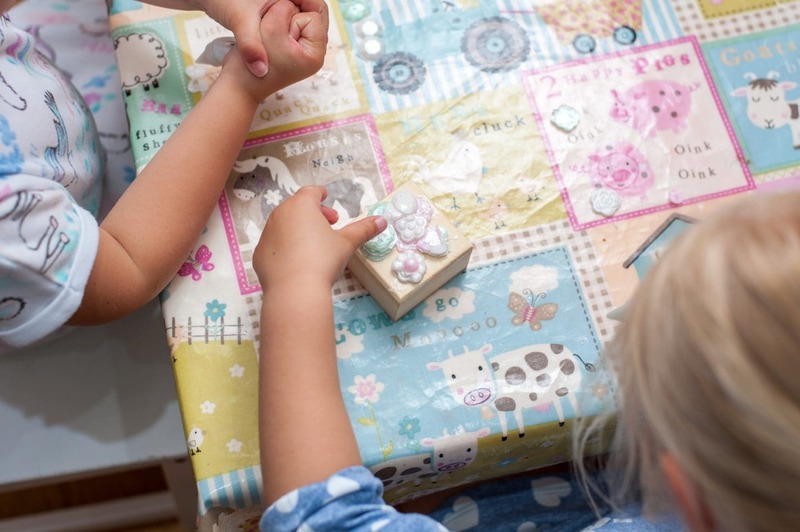 This was the girls favourite part of the craft – and mine too! They did it in complete and utter silence!! Where as Megan’s approach was a little more chaotic! 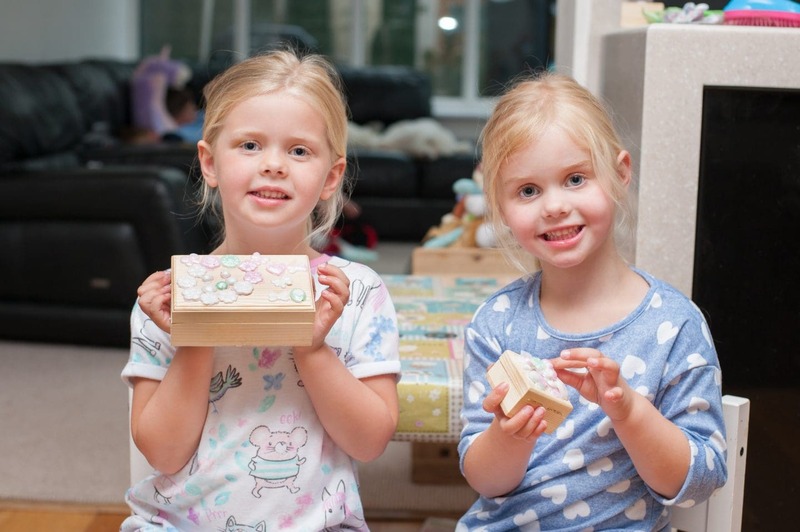 And with both jewellery boxes done, and the girls over the moon with their designs, they were all ready to fill them with treasure! Look at those tiny hands trying to make something creative! I love the whole setup. it looks so beautiful and I am sure the kiddo loved doing this little fun thing. 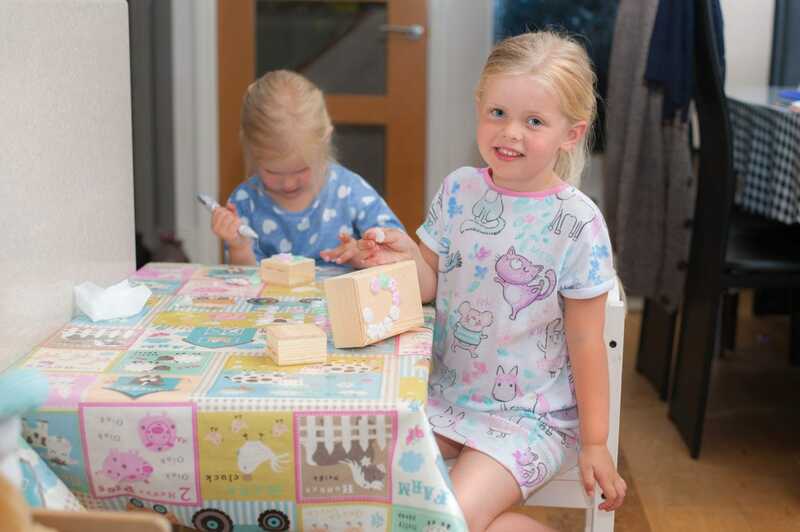 This looks like such a fun kit and something a bit different to do with the children! Aww lovely post of your girls decorating the boxes. My 2 little Witches would love this craft, this is down our street. I absolutely love this idea! Looks like so much fun. Perfect activity during birthday parties! How brilliant are these little do it your self boxes. My daughter would love this. The girls did such as fantastic job! 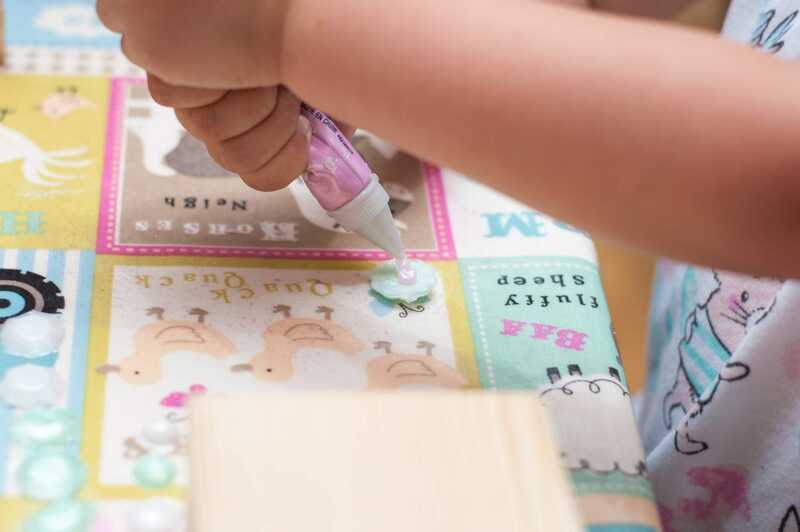 This is a great craft idea to keep the kiddos busy! Very cute. This looks like an art project that I did with my teens at the library. Although theirs was more ornate and they painted them and we put a lacquer on them. They seemed to have a good time. Aw! Must be an amazing experience for you just watching those tiny hands making their masterpieces! 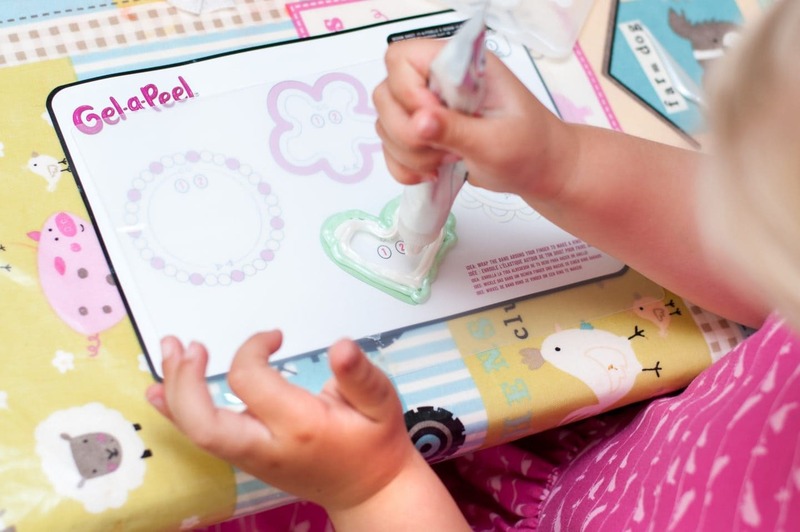 Your daughters are adorable and Gel-a-Peel looks amazing for keeping kids engaged when they are crafting! My daughter would love this craft. She is so into activities like this. What a lovely activity. I wouldn’t mind one for myself ? They look like so much fun! Nice to create little pieces to go on, rather than being able to let loose on the boxes directly!! 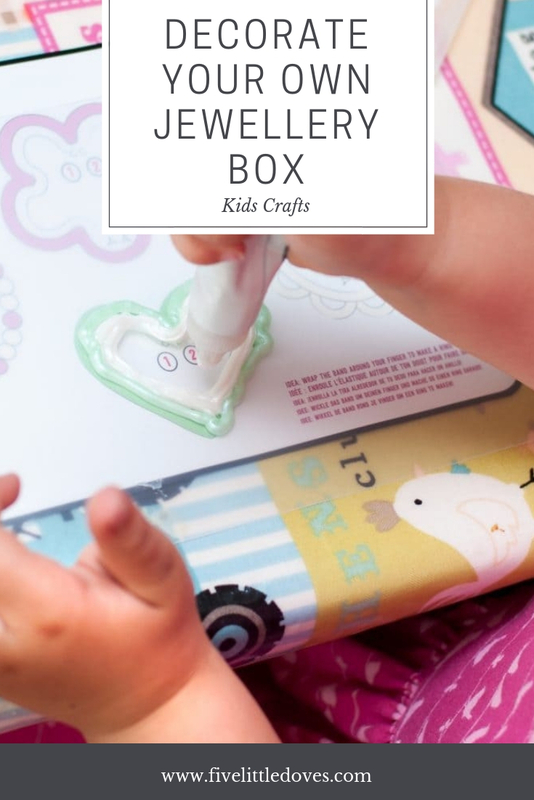 Beautiful and nice ideas to decorate wooden jewellery box. I would encourage my children and their friends to do this. This is fantastic! I picked up a trinket box for my daughter then realised I had no idea how she would go about decorating it. This is the answer and I shall be looking into getting a kit or two very soon! She is very much a hands on girl and loves crafting so something like this would be perfect. 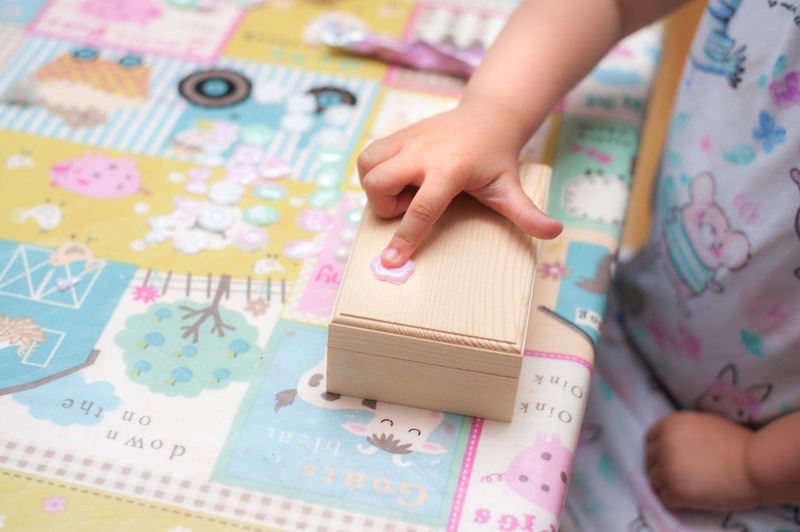 Lovely ideas to decorate a boring wooden box to a exciting shining box. It can be done by kids so easily and they would love to learn such colorful and beautiful things. Thanks for sharing!